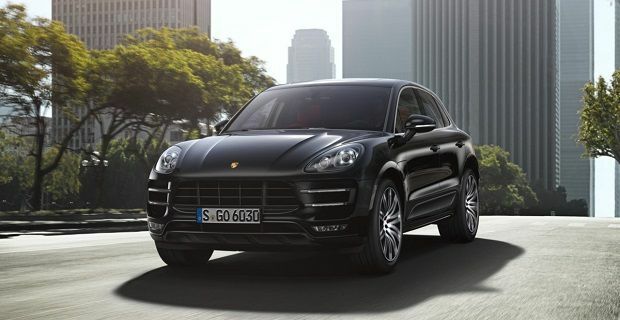 The new Porsche Macan has made its long awaited debut at the 2013 Los Angeles Auto Show. When deliveries begin in April 2014, it will be a rival for the Range Rover Evoque and the C-X17, the Jaguar SUV which made its American debut at the LA Auto Show. The Macan is more sports orientated than the Cayenne thanks to a sloping rear window and slimmer tail lights. It uses the same platform as the next generation Audi Q5, and at launch all Macans come with the Porsche PDK gearbox and four-wheel-drive as standard. Porsche are offering the Macan S as the entry-level for now, which comes with a turbocharged 3.0 litre V6 petrol that develops 335bhp and offers a 0-62mph time of 5.4 seconds. The fuel consumption’s not bad at 32.5mpg. The Macan Turbo is the top of the range petrol variant. Its 3.6 litre turbo V6 offers 394bhp and gets to 62mph in 4.8 seconds, although a further 0.2 seconds can be shaved off that time if you opt for the Sport Chrono pack. Fuel consumption doesn’t suffer because of the extra power as this Macan’s good for 31.7mpg. The only diesel model is the Macan S Diesel. This model of the new baby Porsche Macan returns 46.3mpg but gets to 62mph in 6.3 seconds. No matter which version you choose, you’ll get the new off-road mode that’s activated by pressing a centre console button. It adjusts the clutch, gearshift and accelerator response to maximise traction over uneven and slippery ground and raises the ride-height on any machine fitted with the air suspension system. The Porsche Macan price range starts at £43,300 at the moment but we’re expecting the German car maker to add a cheaper model to the range during 2014 that will most likely give the compact SUV at starting price closer to £35,000.